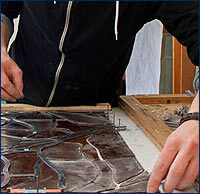 • Roger Chapman, President of Sunrise Stained Glass Inc.
using lead came from Cascade Lead Products Ltd."
For over twenty years Sunrise Stained Glass Inc. has been using lead came from Cascade Lead Products Ltd. for both our new stained glass memorial windows and for the releading and restoration of stained glass windows. 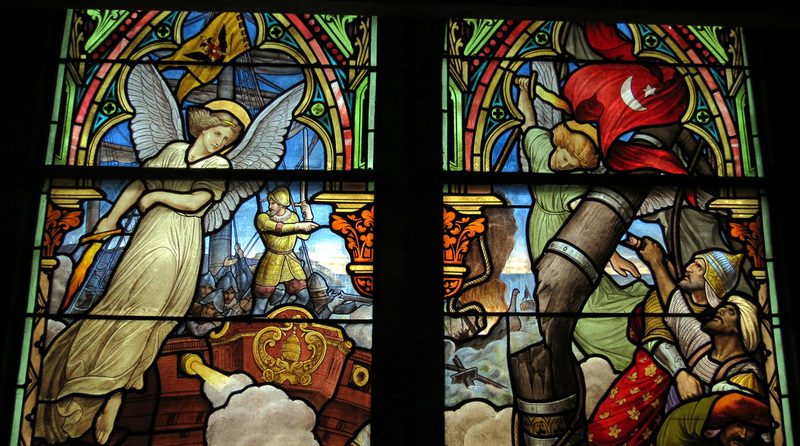 The wide range of available lead profiles has provided us with the resource to match the lead came used in historic church windows. 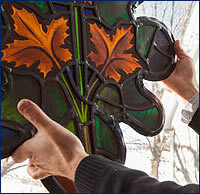 Also the Cascade line of restoration grade lead came has given us a product with the strength and durability to match the standards set by the stained glass consultants we work with on many of our larger restoration projects. The fact that Cascade lead came is readily available from a local supplier means that a quality product is available next day for a reasonable price. 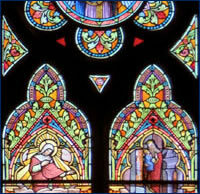 Two recent restoration projects that we have been involved with are the window restoration at The Basilica of Our Lady Immaculate in Guelph, Ontario and the window and dome restoration that was done as part of the restoration of the historic St. Thomas Courthouse in St. Thomas, Ontario. In both of these projects, strict standards were set by the consultants for the lead came to be used. 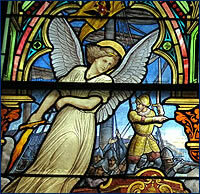 Cascade Restoration lead was approved for both of these projects. 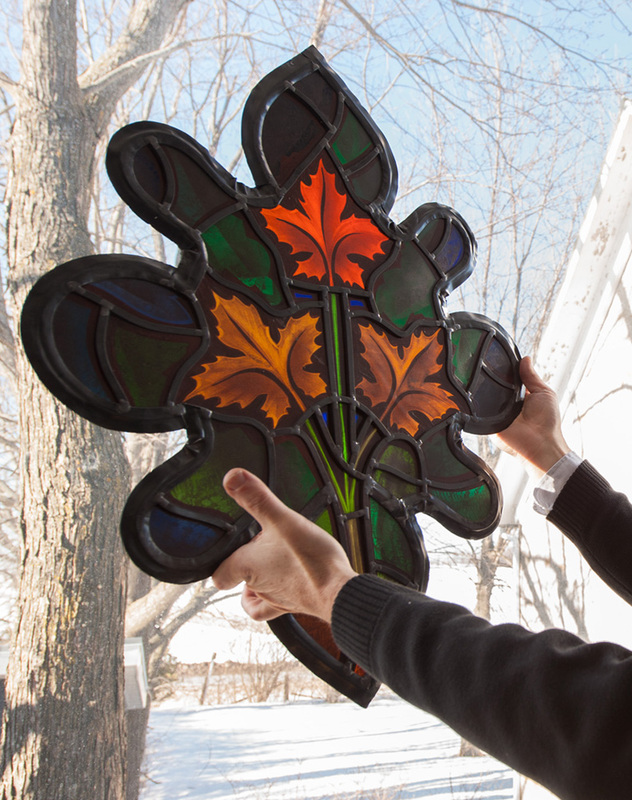 The restoration at The Basilica of Our Lady Immaculate was carried out from 2008 to 2014, and involved the restoration of sixty-three window groupings, totaling 3,772 square feet of stained glass, including the three magnificent stained glass rose windows of the church. 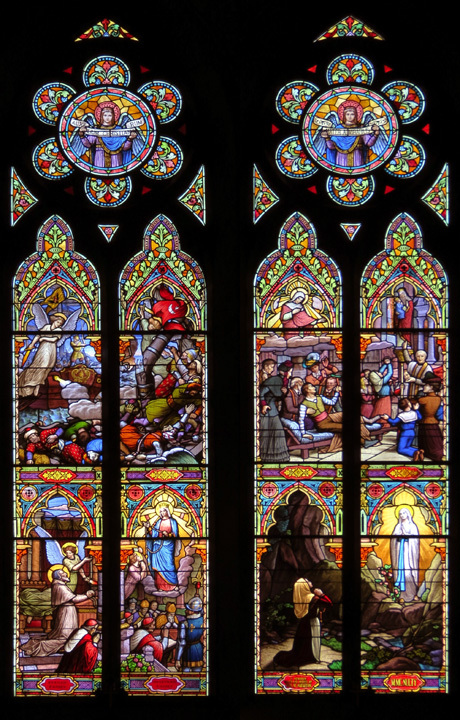 The stained glass work on the church was integrated with wood window frame reconstruction and masonry work so completing work in a timely fashion was important. 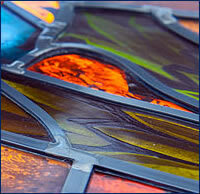 The availability of the Cascade lead came products allowed us to be on time and on budget. 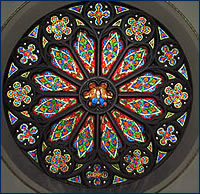 The most dominant feature of the St. Thomas Courthouse restoration was the 11' by 11' leaded stained glass dome which sits in the ceiling of the main courtroom. 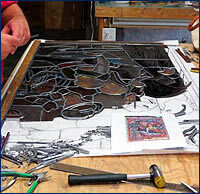 The stained glass restoration was part of a complete restoration of the original, historic courthouse that was integrated into a new courthouse building. 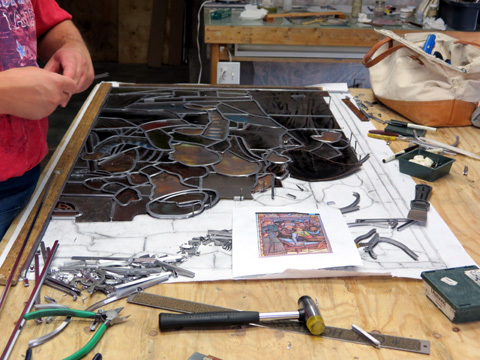 The project ran from 2011 to 2013 and once again our stained glass restoration work was integrated into other work on the building, making timing an important element of the work. Being able to use Cascade lead came allowed us to meet all construction deadlines. The extra strength provided by the Cascade restoration grade lead came also gave us the confidence that our releading of the dome would last the test of time. 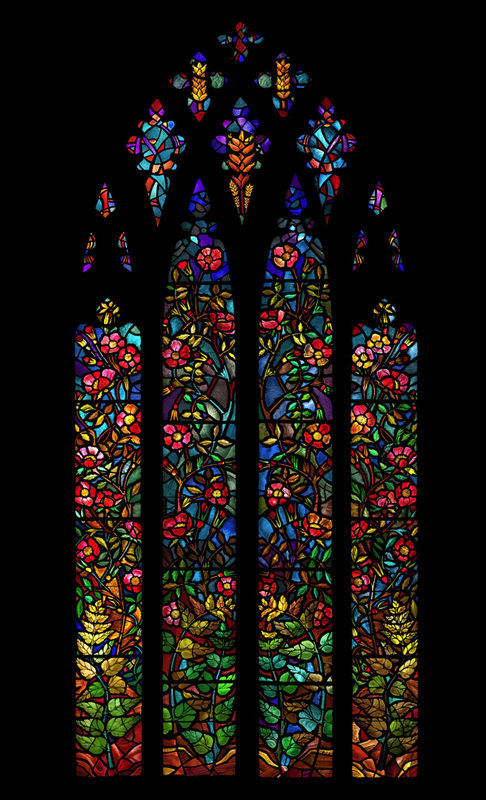 As an architectural art-glass conservator, I recently completed a 2 year conservation of the west- facing stained glass windows in the House of Commons. 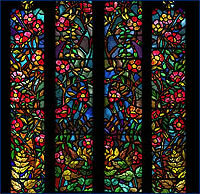 In addition to conserving, restoring and re-leading the stained glass, in order to maintain the look of the Chamber during the 18 months that it took to conserve the panels at my Westport studio, the scope of work included the manufacture and installation of digitally printed photographic facsimiles of the stained glass. 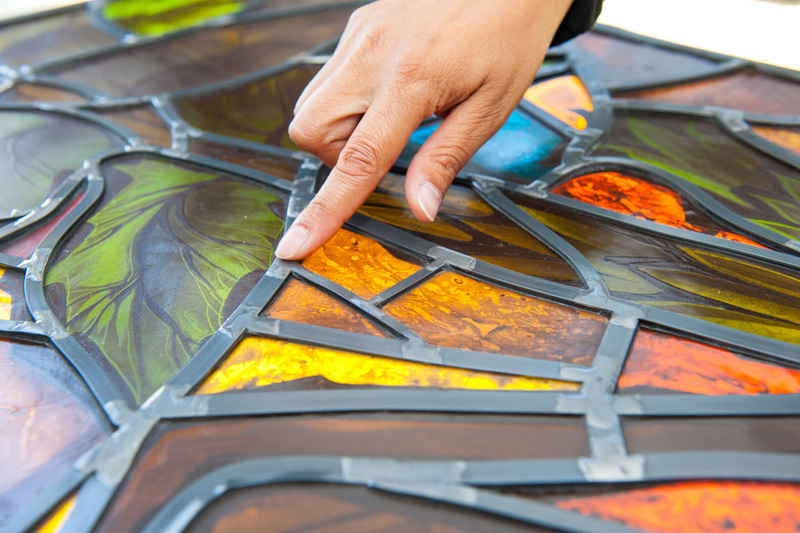 The 10mm thick replacement panels were made with digitally printed, kiln-fired ceramic frit on low iron, tempered glass laminated onto low iron acid-etched glass diffuser panels and installed into the stone reglets with custom laser-welded steel framing members and custom extruded offset lead cames provided by Cascade Metals. 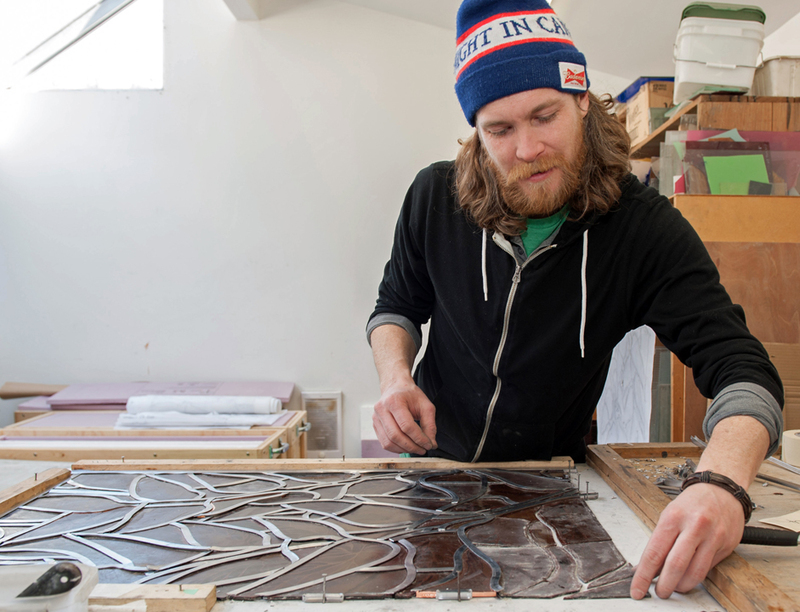 Cascade's #2 & #4 conservation lead alloys with higher tin and antimony content were approved by the Public Works Conservators for the facsimile installation and the stained glass restoration, which also required the several custom extrusions.